As per ECAS policy document and athlete criteria selection guidelines, Many of the athletes who are involved in the ECAS programmes are between the ages of 13-24 and are at a high school or a tertiary institution. The pursuit of excellence in the classroom is just as important as the pursuit of excellence on the sports field and ECAS encourages all its athletes to fulfil their academic potential. The ECAS Provincial office is situated at the Nelson Mandela University South Campus in Port Elizabeth, therefore the need for academic development is well-entrenched in the minds of ECAS athletes. Through its accredited service providers, ECAS assists athletes to meet the demands placed on them both in the classroom and on the sports field. For those who are not undertaking an academic qualification, these athletes are encouraged to attend a variety of courses and short learning programmes so that they can function fully outside the world of sport. Admittedly, not every athlete will complete at an elite level and those who do get to the top of their sport may only have short-lived careers. 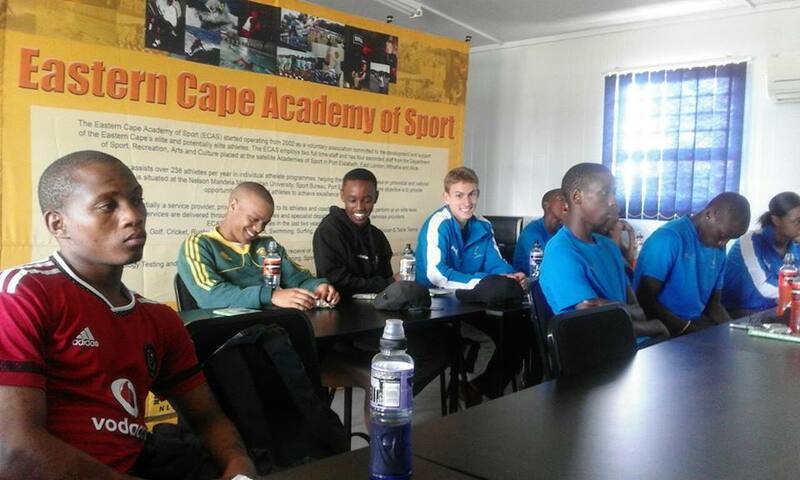 Thus the ECAS education and training programme endeavours to develop the athlete holistically. It is the hope of ECAS that the day that an athlete stops competing in his or her sport will represent a career transition to another field and social network where he or she is able to pursue new dreams and ideas with confidence.